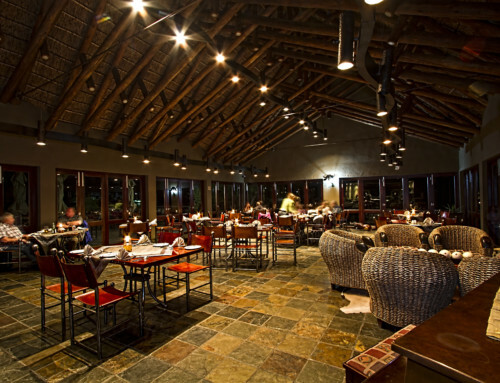 If you’re new to beautiful Africa, you probably only know about the Big 5. These magnificent natural marvels are some of Africa’s favourites, but there’s a host of tinier critters just waiting for you to meet them too. Of these, the dainty little meerkat is probably one of the most beloved, capturing hearts across the country. 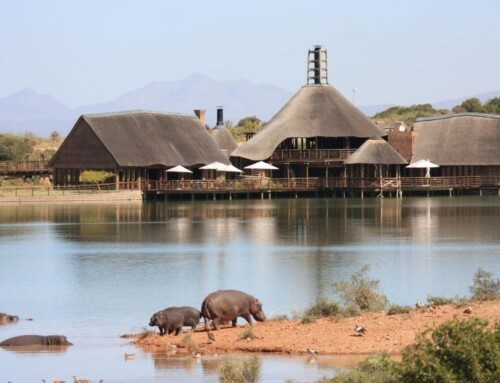 Today Buffelsdrift Game Reserve takes a peek into the fascinating world of these little critters. You’ll best recognise these furry pranksters from their starring role in Disney’s ‘The Lion King’, but real meerkats don’t typically hang around with warthogs and burst into song. Instead, these adorably charming little creatures live a communal life with others of their species. These groups, ominously called ‘mobs’, ‘gangs’ or ‘clans’, typically consist of 20 to 50 individual meerkats, typically related to each other. They are led by the ‘alpha pair’, with the female taking precedence. 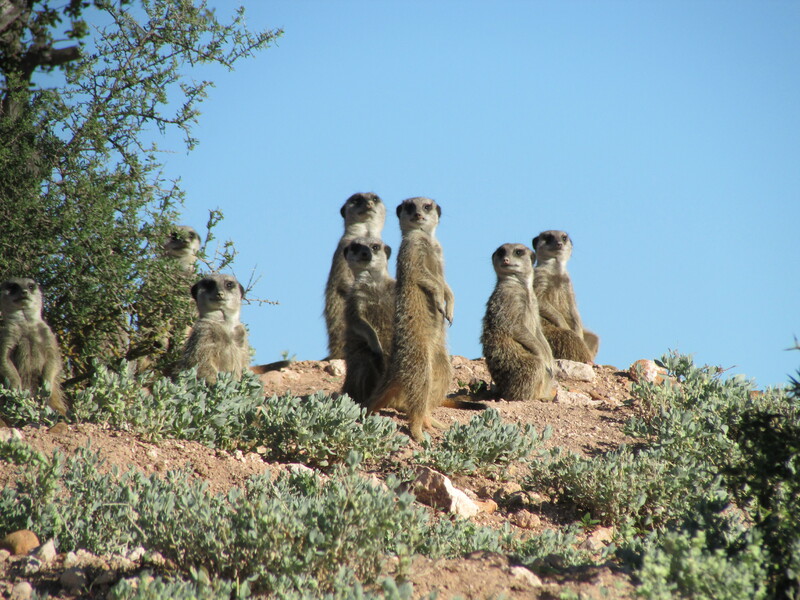 As a small and vulnerable mammal, teamwork and communication is important to the meerkat’s survival in the wild. As a result, they have a fascinating range of chirps, calls and chatters that enable them to communicate efficiently and swiftly in the wild. A well-known study of one meerkat family revealed 30 distinct types of sound used, and that they recognise those of their own family. 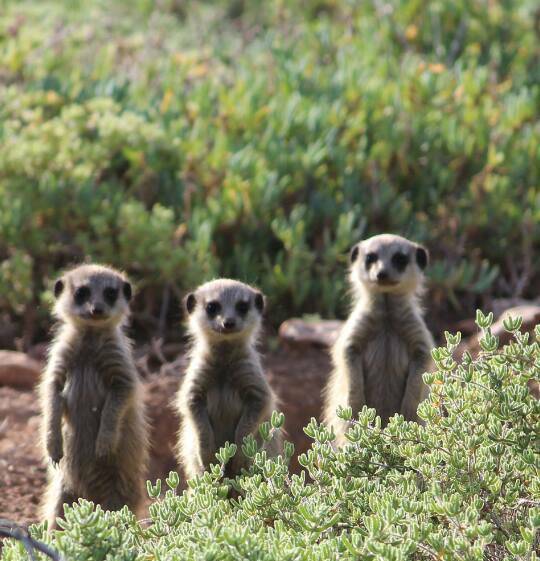 As a group animal, meerkats take their safety seriously. While the bulk of the group searches for food, a sentry will stand guard. If they spot trouble, they will ‘bark’ or whistle loudly to warn their group members to run for the safety of their burrow. Despite their small size, the meerkat is a fearless creature. They subsist on a diet of insects and other small creatures. They have a natural tolerance to scorpion and even some snake venom, the hazards they encounter most often in daily life. When it comes to invading cobras, they truly have no fear- the entire mob will gather together and advance on the snake with a menacing air, tails held stiff and high. This tricks the predator into believing a large creature is on the verge of attack, and they then flee, leaving the group in peace. The meerkat is a member of the mongoose family, and they are scientifically known as suricates. They can be found in many of the arid semi-desert areas throughout Africa, and are found most often in the Eastern Cape and Karoo in South Africa. 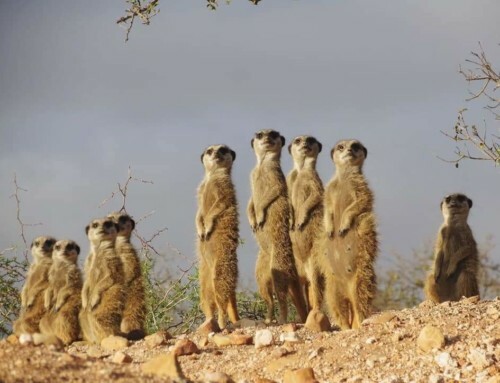 No other creature makes quite such successful use of teamwork as the meerkat. Not only do they act together while foraging or facing down threats, they also assign a communal ‘babysitter’ to tend to pups while the rest of the family are searching for food. Young are taught how to hunt their dangerous prey safely by adults. That said, however, they do have a dark side, and can indulge in sometimes-vicious ‘gang wars’ with other families. 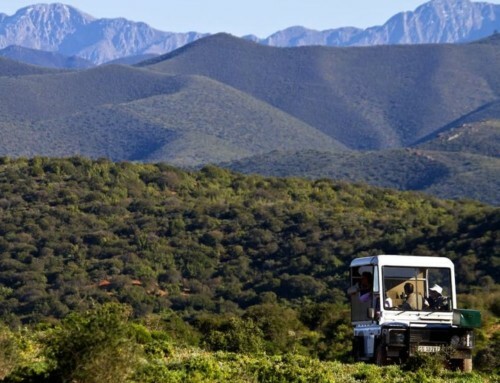 Keen to meet this iconic African mammal for yourself? No trip to the Karoo would be complete without them. 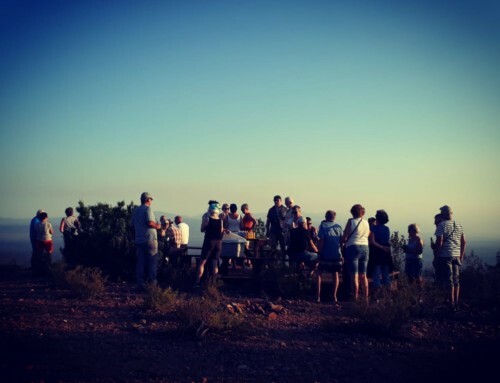 We have a thriving population here at Buffelsdrift Game Reserve, and you can learn even more about these fascinating creatures with our special meerkat safaris. We hope to see you soon!